Head and Neck Cancer: Can We Do Any Better? 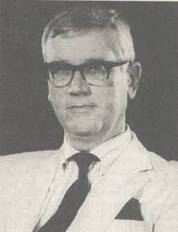 Professor Philip Michael Stell gave his Semon Lecture at the Royal Society of Medicine in 1986. In his lecture, he addressed the idea that head and neck surgeons were saving many more lives now through improvements in diagnosis and management of head and neck cancers. To explore this idea, he looked at what he found in his department before concluding that the idea was incorrect and earlier diagnosis was needed in order to save more people. Philip Stell was born on the 14th of August 1934 in Yorkshire, England. Although he had an incredibly successful career as an otolaryngologist and head and neck surgeon, becoming the first surgeon to specialise solely in that area and publishing hundreds of papers, he ended his career as an honored medieval historian, receiving an MBE for his contributions.